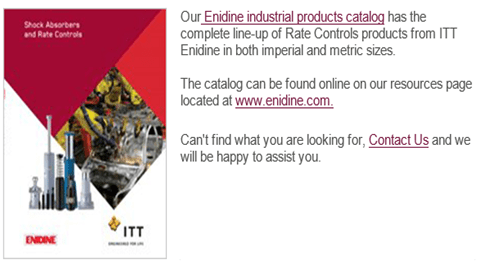 Regulated Motion Made Easy with Enidine Rate Controls | Enkosi Pty. Ltd.
Longer Machine Life – The use of rate controls significantly reduces shock and vibration to machinery caused by uncontrolled machine operation. This further reduces machinery damage, downtime and maintenance costs, while increasing machine life. Improved Production Quality – Harmful effects of uncontrolled motion, such as noise, vibration and damaging impacts, are moderated or eliminated so that production quality is improved. Safer Machinery Operation – Rate controls protect machinery and equipment operators by offering predictable, reliable and controlled machine operation. Competitive Advantage – Machines and end products become more valuable because of increased productivity, longer life, lower maintenance and safer operation. 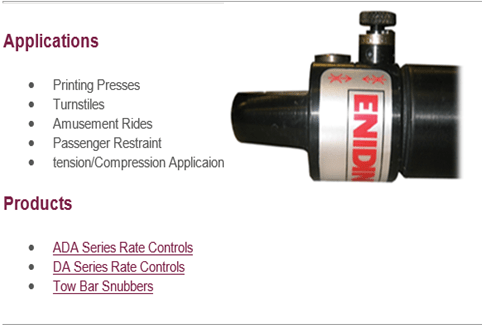 Enidine Incorporated offers a wide range of rate controls that provide motion control in tension, compression, or both directions. Adjustable and non-adjustable tamperproof models are available to fit your particular application requirements. 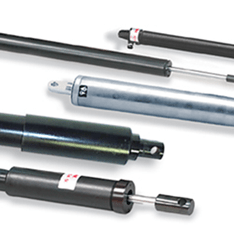 The resisting force provided by Enidine Incorporated rate controls is typically constant over the entire stroke when the piston rod is moved at a constant velocity, since the rate controls are single orifice products. 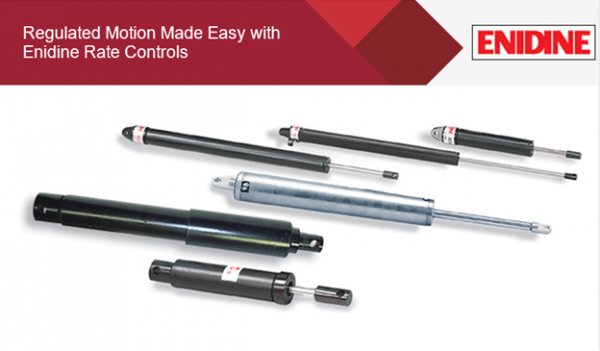 The ADA 500 Series utilize independent adjustment cartridges for motion control in each direction that are conveniently housed in the cylinder end. For Controlled tension and compression capabilities, Enidine Incorporated’s ADA 700 Series offer this feature located independently at each end of the unit.